Porsche repair center in Lake Forest, CA, and serving motorists in Orange County, CA. We provide dealer quality service without the dealer price tag! While many know us worldwide for our race car builds and race engines, we're also well known locally for our meticulous maintenance of daily drivers. We've worked hard to become one of the top Porsche service and repair centers in Orange County. In order to support both our racing efforts and maintain our customers vehicles we utilize a small group of people who are each experts in their field to help us accomplish both without sacrificing either. We have grown quickly in Lake Forest, California by meeting the high demands of our customers at a price that is reasonable. Racing always breads an economic mindset that we take with us when we do maintenance on our customers cars, the amount of money our expertise can save our customers is what keeps them coming back. We are for those who expect more from the people working on their vehicles, we are detail oriented and uncompromising. While many Porsche repair and service shops in Orange County pay their employees on a flat rate basis, our employees are well paid on salary. That means that when we work on your car we have no reason to rush through the job to make extra money. Our Porsche technicians are thoroughly trained to do quality work and to spend the extra time that is necessary to ensure your car is fixed right the first time. My go to shop for my 2014 Porsche Cayman S. From suspension work, alignment and simple oil change, I'm a happy customer. Andrew is fast to answer questions and schedule appointments. Matt worked on my car and he's very professional about it. Reasonable rates and they work fast. Don't hesitate to send Andrew a message regarding work on your car. 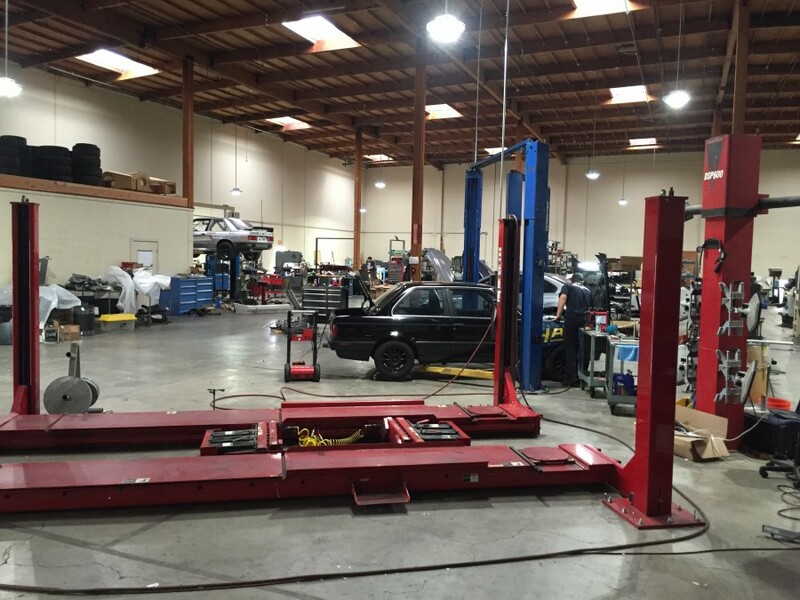 If you are looking for an auto repair shop that is honest, reliable, and efficient with great communication, quality workmanship, friendly staff, and competitive pricing. LOOK NO FURTHER! This is the place! I have never been too keen with independent auto shops until now, as I have encountered some shady businesses in the past. Bad memories of indefinite delays, unclear quotes and invoices, overcharging for parts and labor to juice every penny, and lying about unnecessary repairs. BUT NOT HERE! Lang Racing Development's owner, Andrew, was clear and concise on quotes on parts/labor, provided the best prices around the area, and most importantly friendly and honest. Special thanks to Matt, the lead technician, for working on my Porsche and doing a superb job. I will be bringing all of my auto issues here from now on, and so should you! Highly recommended! So, Its been about 8 months since I have been going to Lang Racing. After I bought my Porsche 964 I decided to give Lang Racing a try, especially since Andrew had a 964 of his own. Since I have had my car Lang Racing installed H&R Coil-overs, spherical control arm bushings, new rear sway bar, sway bushings, rear strut mounts, front ground control camber/castor plates, transmission bushing, shaved braked pads and new slotted rotors, catalytic converter, ball joints, and a fresh alignment. I have been building cars (with the help of many different tuners) and Lang Racing is a legit shop. The crew is always cool and working on different race car projects. He has help build my 964 to exactly what I want. Pricing is fair and they have an awesome shop dog. I would never return to a shop that I don't trust and for me to continue bringing my car to them says a lot. The Lang Racing team does good business and will correct any issues you have with your car. If you have a sports car and you want some basic work or performance upgrades, I would give Lang Racing a call. Excellent service. Had a new exhaust installed on my 981 Porsche Cayman S and the guys at Lang took care of me. Quick and knowledgeable. Great facility with a ton of racing/motorsports stuff around. These guys have everything you'd need to get your car race prepped. Thanks again. Great customer service and communication from Andrew. I have a built '87 930 Porsche that I needed to dyno and fine tune a new fuel management system. Even though he was booked solid, he managed to squeeze me in within a day or so (probably because I went there in person to plead my case rather than calling). Right after picking up the car, it started to run bad, but only when the turbo kicked in (something that never happened during dyno testing). Andrew tried all sorts of things to troubleshoot the problem but to no avail. Luckily for me he never gave up and eventually found that the fuel pump had become clogged with a lot of sediment that had accumulated from the car sitting for extended periods over the years. Along the way he found a few other things that he fixed as well. Thanks for not giving up Andrew. The car runs great! Amazing pricing and service! Don't go to the dealership. Go here! They came to my house and jumped my car before I was even a customer. Parts came next day for my Porsche and they were finished with it before expected. I'll be using then for an upcoming modification and a routine maintenance.